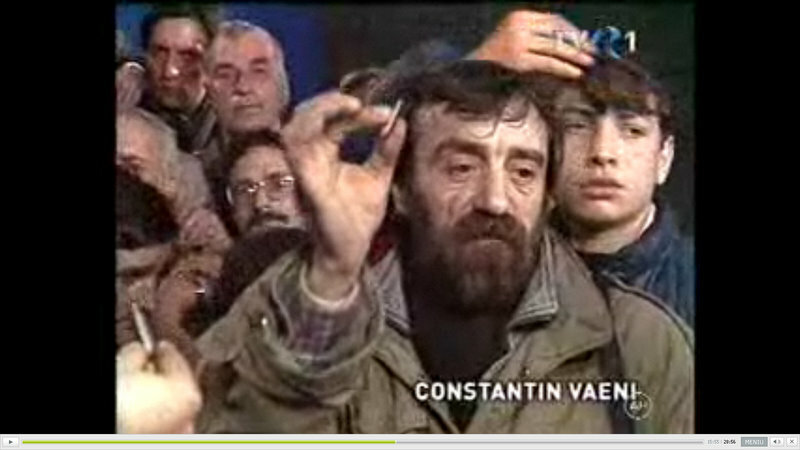 (PERHAPS) ONLY IN ROMANIA! 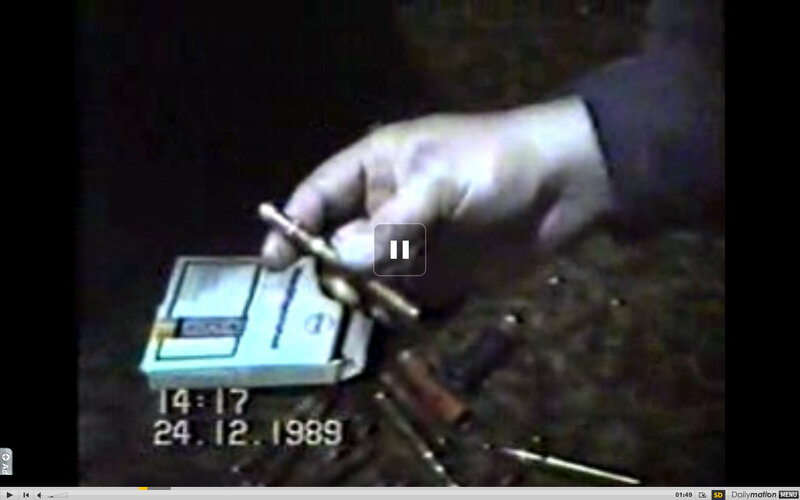 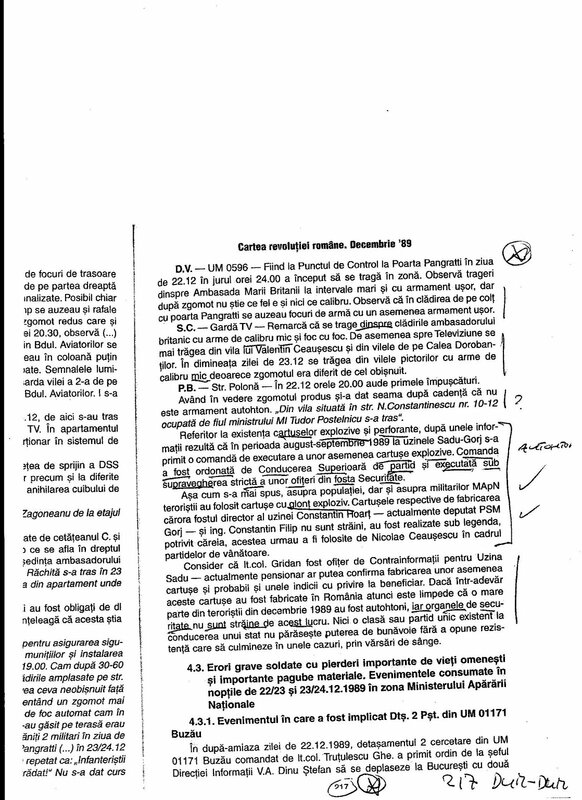 : Twenty Years Later Romanianists and Romanians Continue to Deny the Existence of Atypical Munitions in December 1989…Even Though Clear Video Evidence Exists to Confirm Their Presence! 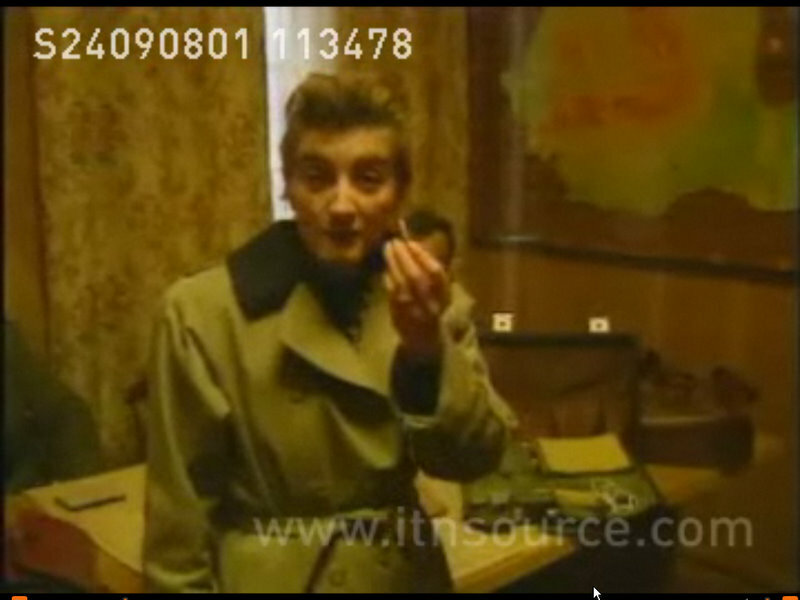 Penny Marshall, ITN correspondent: “This is one of the thousands of bullets that’s been handed in or found on the streets here in Timisoara. 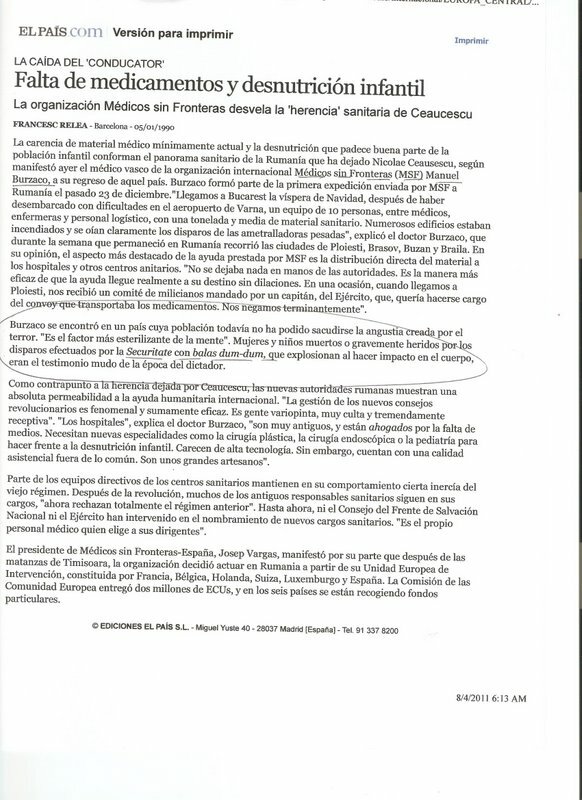 It is significant. 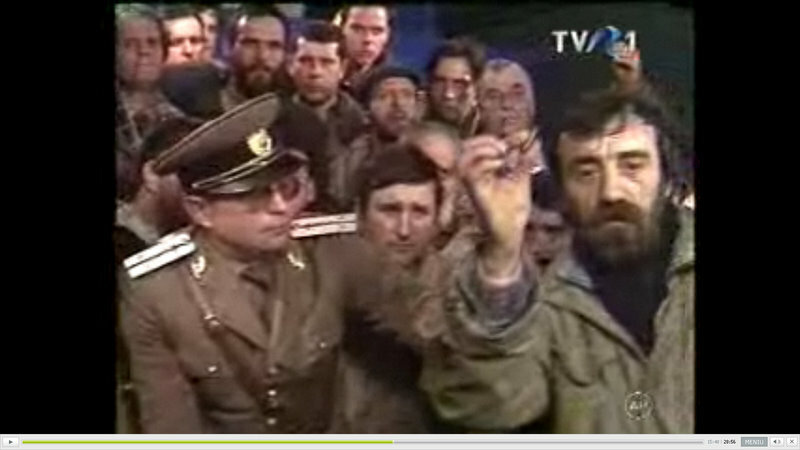 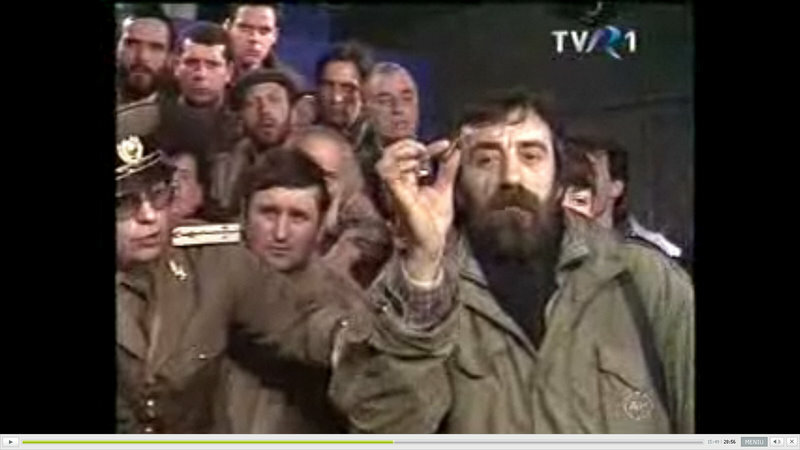 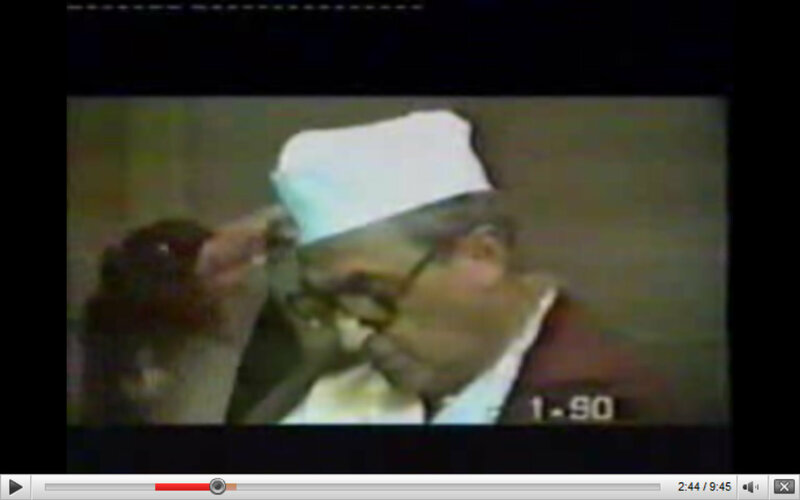 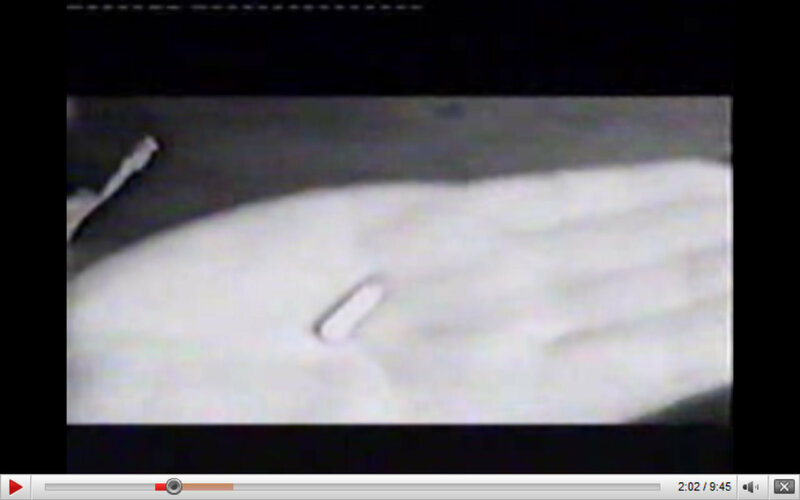 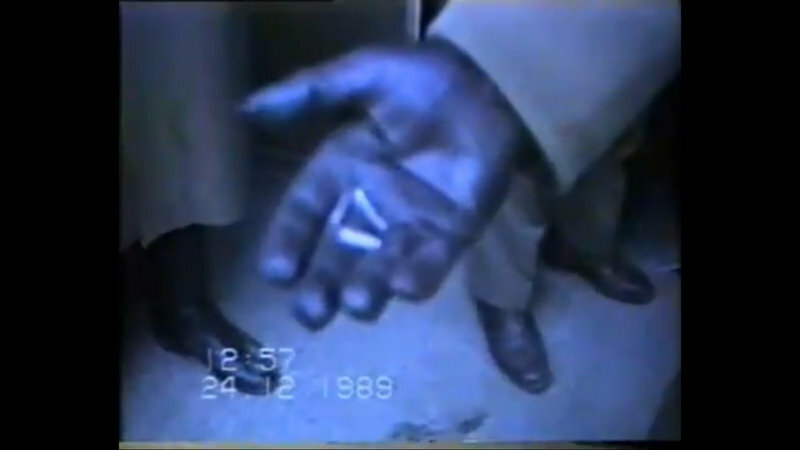 Vaeni, in a confused intervention, shows a bullet which he says he was given by a soldier on a tank which he and other civilians rode out from the center…one can only imagine that since the soldier gave him the bullet as evidence that as Vaeni says “others shot,” that this was not in the Army’s arsenal (otherwise it does not make a lot of sense). 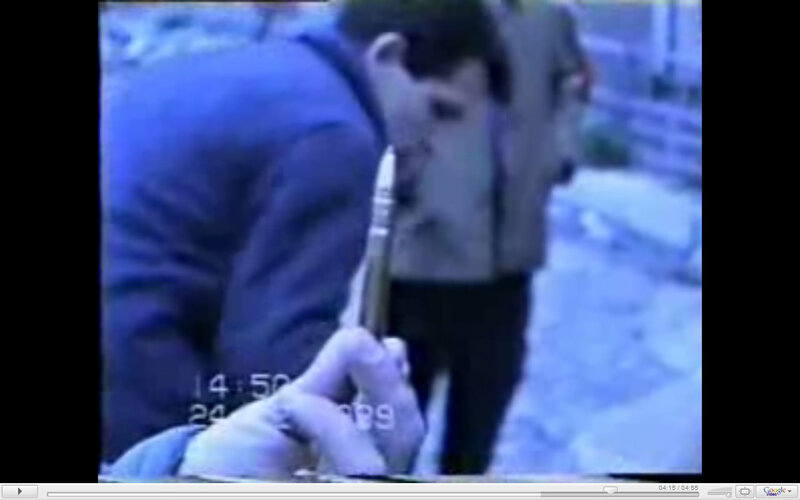 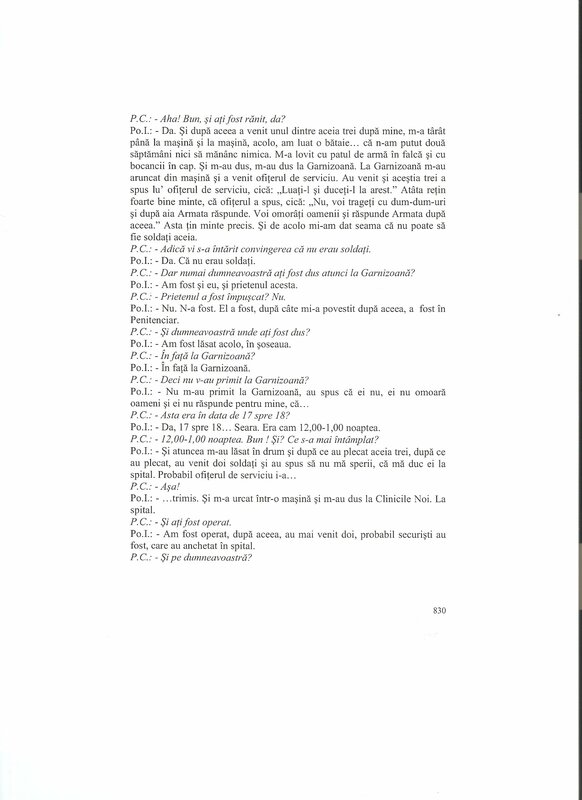 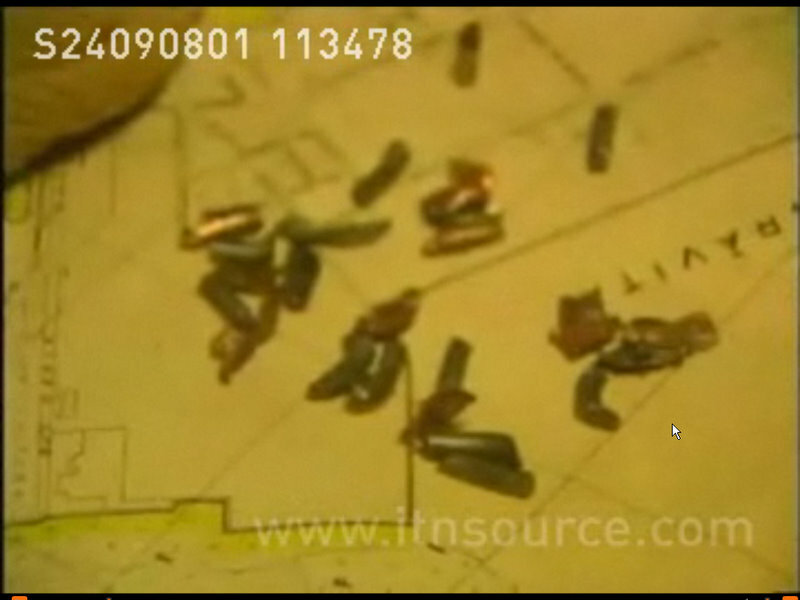 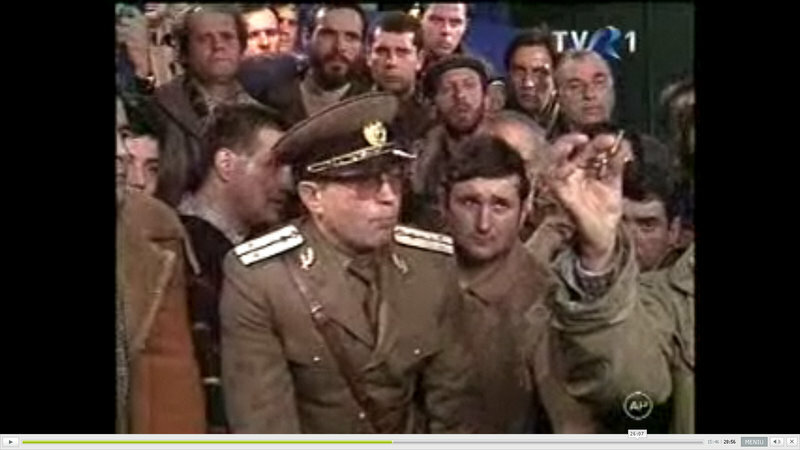 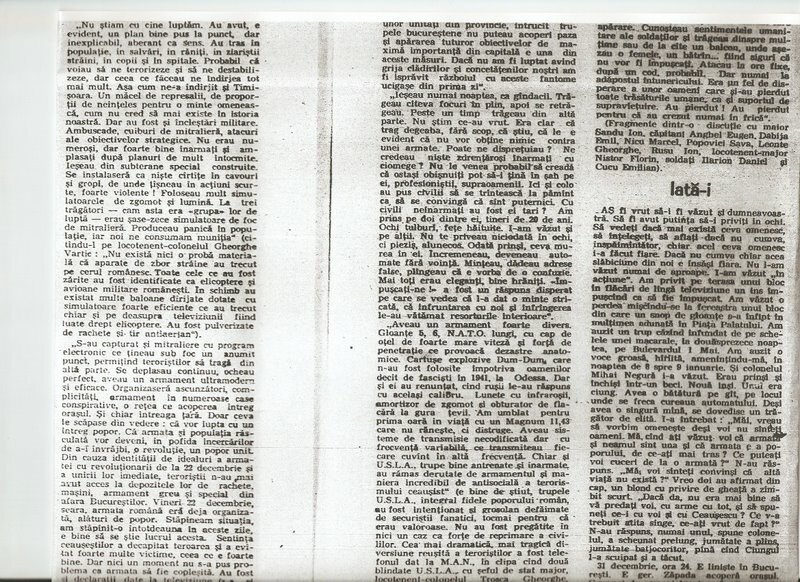 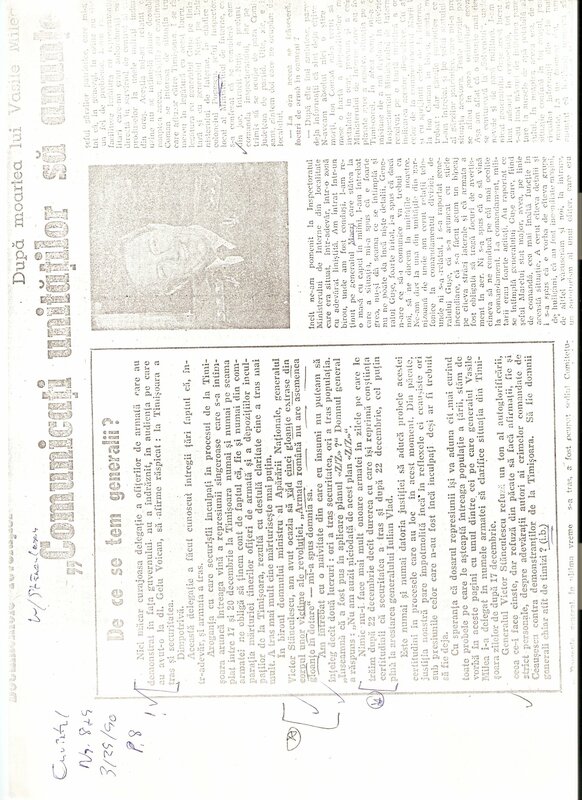 So it is important to note, the whole discussion of the bullets used by non-Army forces (Securitate and Militia) began before the “terrorists” ever opened fire and in fact was specifically in discussion to bullets with which demonstrators had been shot the night before in Piata Universitatii (University Square). 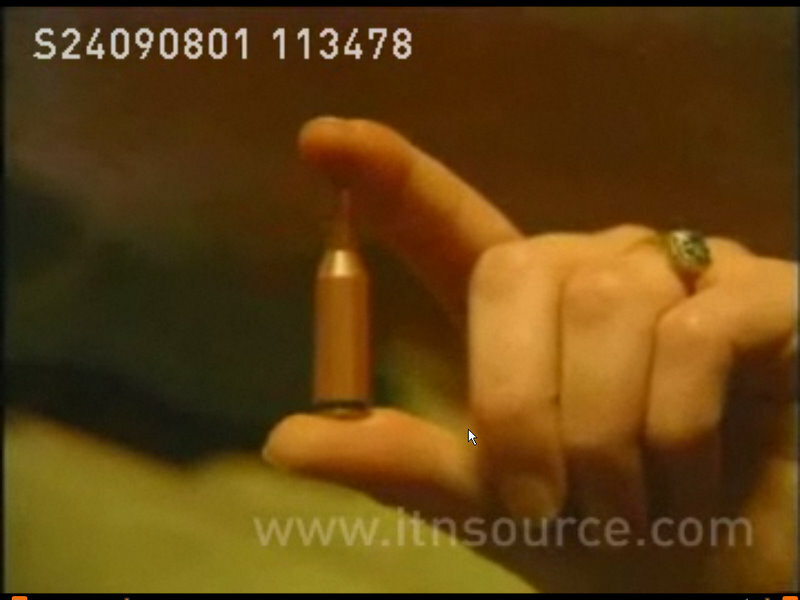 Needless to say, the producer of this film (Sange pe Catifea, Cornel Mihalache) is unaware of the significance of this brief scene and doesn’t draw attention to it.